A naturally occurring substance in the human body, Coenzyme Q10, or CoQ10, is found in a number of foods and is also available as a dietary supplement. A variety of benefits are associated with the supplement, which is available without a prescription. Coenzyme Q10 is an essential enzyme required by the body. It can be found within every cell in the human body and is the key player in the aerobic cellular respiration process, producing nearly all of the energy that is needed to keep the cells healthy. CoQ10 is also a powerful antioxidant with the ability to fight a number of disease-causing agents, to increase vitamin E levels, and is believed to improve LDL cholesterol readings. A number of foods contain CoQ10, including various fruits, vegetables, nuts, and oils, but the highest concentration is found in meat organs, such as liver, and in fish. In the US, coenzyme Q10 is available as a dietary supplement and is recommended for several conditions, although research doesn’t exist to prove CoQ10’s effectiveness in many of the scenarios. These may include: Heart Failure, Heart Attack, High Blood Pressure, Diabetes, Kidney Failure, Migraine, and Weight Loss. It is approved in Japan and many European countries for the treatment of heart failure. CoQ10 is also used by heart attack victims, individuals who suffer from migraines, and gum disease patients to accelerate tissue repair. 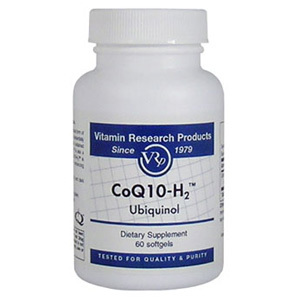 There are many studies underway to explore additional health benefits of CoQ10. Its effects are being studied in cancer patients, the treatment of high blood pressure and high cholesterol, individuals with Parkinson’s disease, and male infertility sufferers. Many people also take CoQ10 to improve recovery rates after workouts, and it is believed to boost the immune system. There are many disagreements regarding the benefits of CoQ10 to patients with cardiovascular conditions. In many countries, coenzyme Q10 is approved as a treatment option for heart attack and heart failure patients. But there are studies that have found no effects, positive or negative, from the use of CoQ10 in these situations. Research has found an improvement in many individuals with high blood pressure after taking CoQ10 and it is thought to protect the heart from other medications that may cause heart damage, such as doxorubicin and beta-blockers like betaxolol.